I have to say, this year’s Halloween costumes really stumped me. First it was Ariel’s tail, and now Sebastian’s eyes. I think I got pretty close and as I like to say… “it’s good enough” haha. 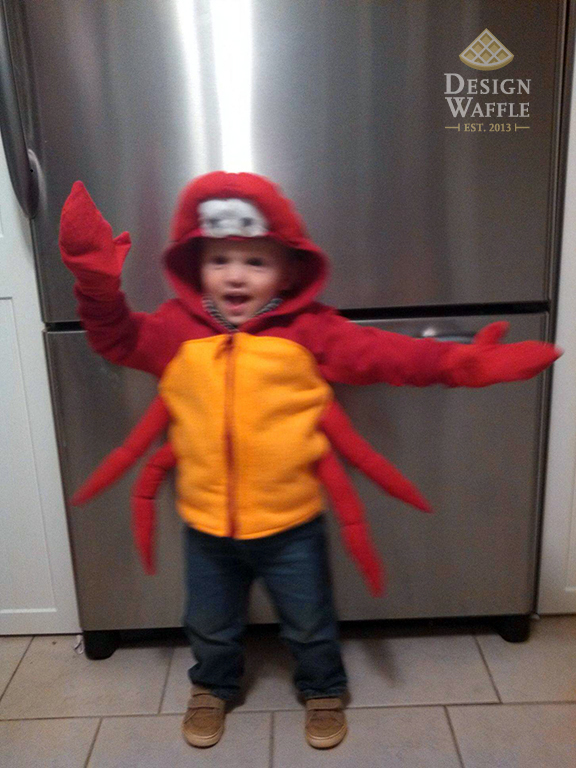 Here’s the only nonblurry photo I have of my niece showing off her little brother’s costume. She kept “shakin’ her booty” and pinching. It was pretty funny! 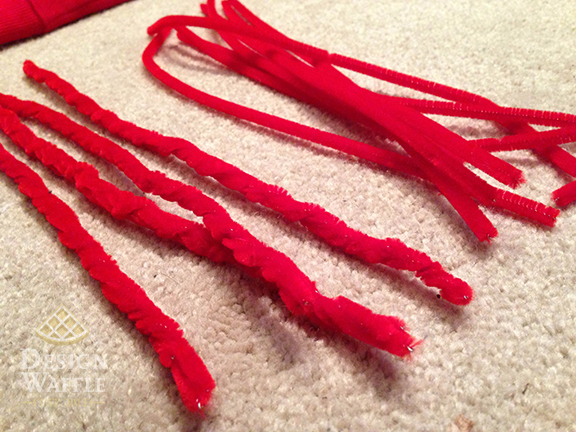 First, I twisted 4 pipe cleaners together to form a sturdy structure. 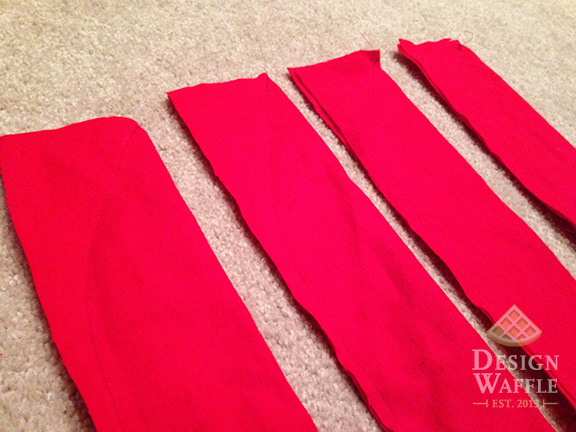 Then I cut strips of fabric and sewed them, leaving one end open. I placed a pipe cleaner bundle in each leg and filled around it with stuffing. 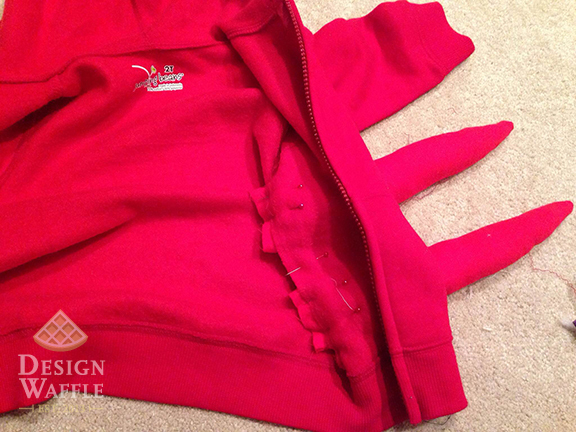 I used a seam ripper to open the seams on the sides of the zip up hoodie. 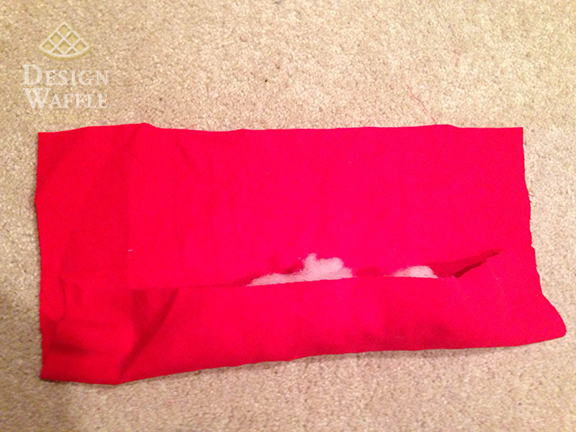 Then I slipped the legs into the seam and sewed them in place. 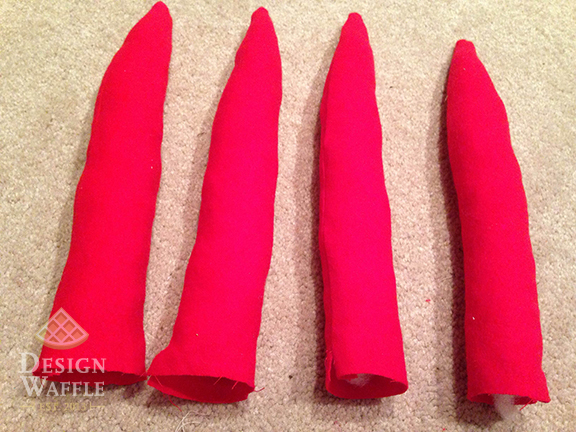 Afterwards I tied a piece of thread around each leg to form a joint. 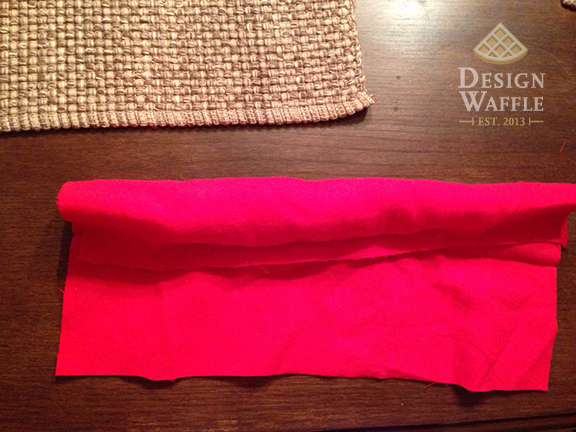 I sewed the orange fabric to the tummy to give the top a little more interest and contrast. I had no idea how to start this and attempted it a few times before I came to the following solution. 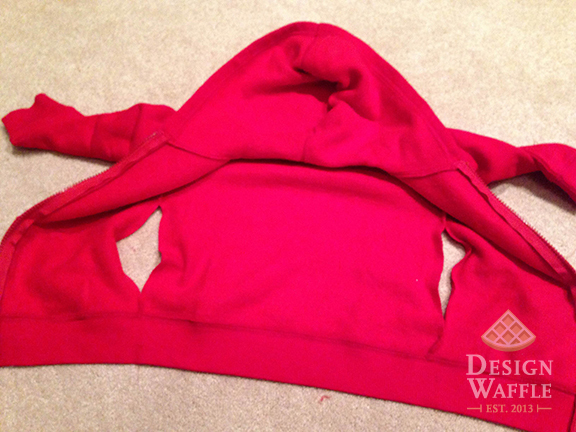 Sebastian has very pronounced eyebrows and just glueing the eyes to the top of the hoodie made him look like Elmo. And I know that because my 2-yr-old nephew kept referring to it as Elmo. 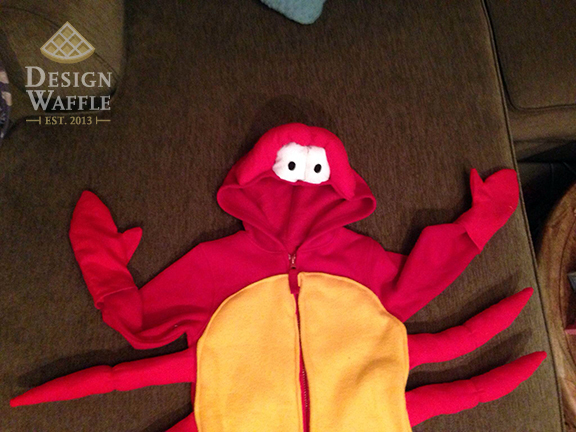 Ughhhh… yes, I was trying to impress a 2-yr-old and make this costume recognizable. 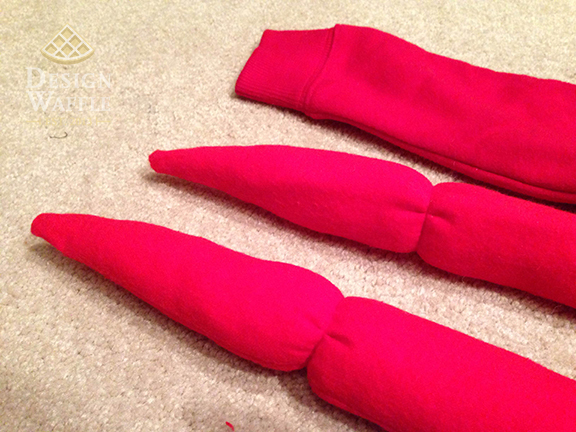 To make the eyebrows I filled a portion of fabric with stuffing and sewed it shut like in the photos below. 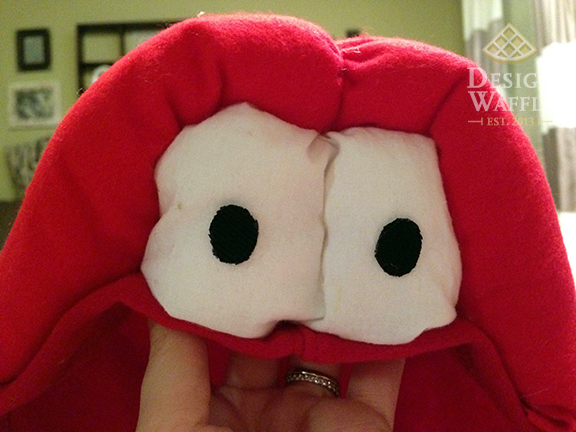 Then I covered waded up fabric balls with a piece of white fabric to form the eyeballs. 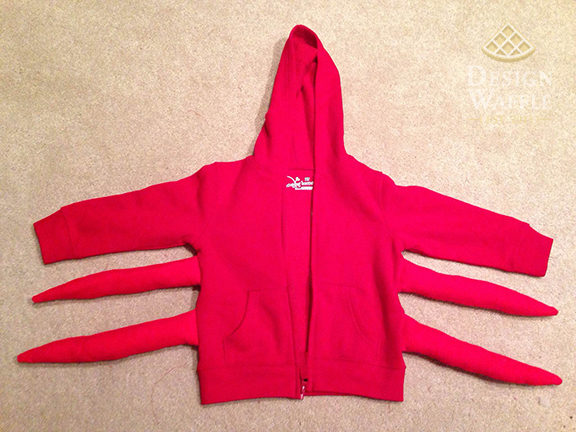 I used hot glue to hold them in place and to glue the eyebrows around it to the hoodie. I don’t have a ton of photos of this process because it happened so quickly and I needed both hands the whole time. Hopefully you can follow along! 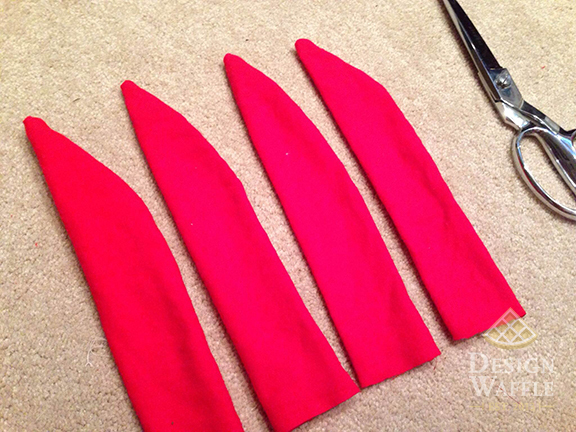 For the claws I actually just traced a pair of kid’s mittens but made them pointy. They were the quickest part of this whole project. 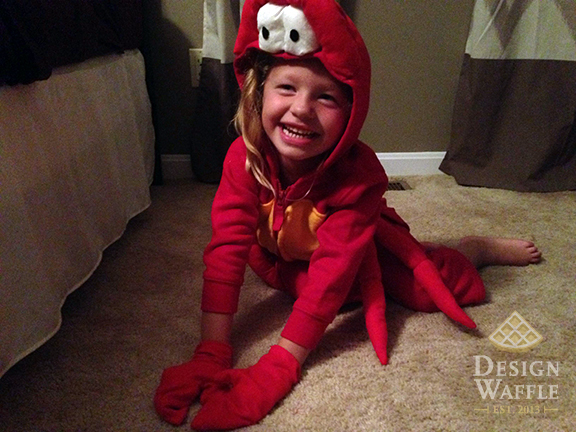 And here’s my cute little niece modeling the Sebastian costume. The pants are a little too short for her! She loves dancing and could hardly stand still. I attempted to bribe her with candy corn which only worked for one photo, so the rest are blurry. And here’s a photo of Nathan. My sister sent me this one when she got home that night. It looks like he was flailing around and pinching like Taylor was. 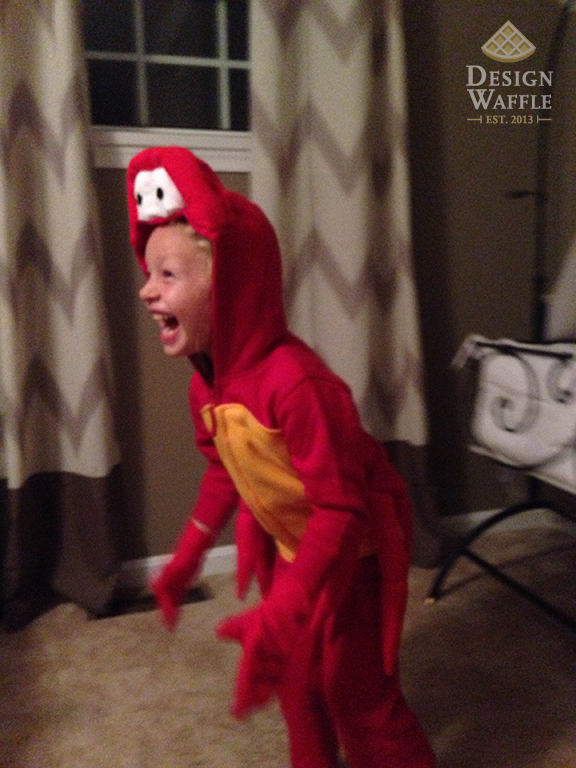 My favorite part of this costume are the extra legs. They turned out really well and were surprisingly easier to make than I anticipated. So I know this isn’t an exact replica of Sebastian, but it’s pretty close! 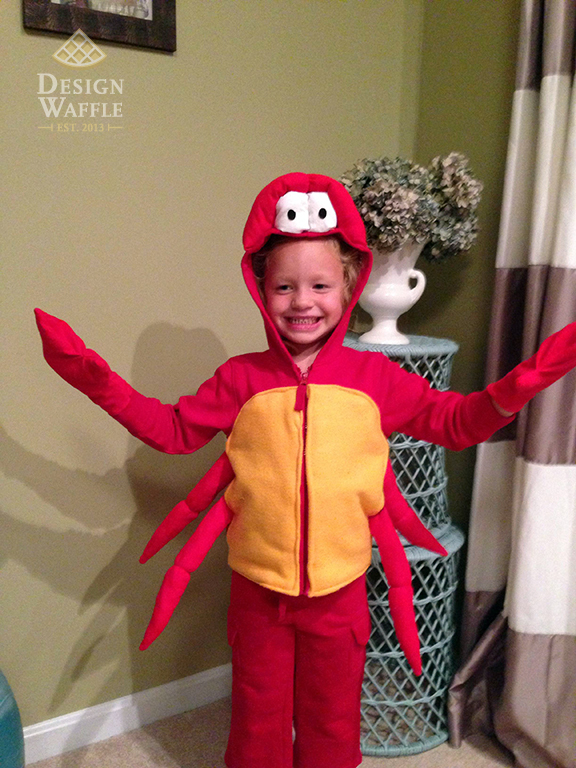 I’ll be sure to post photos of Ariel and Sebastian together after Halloween! 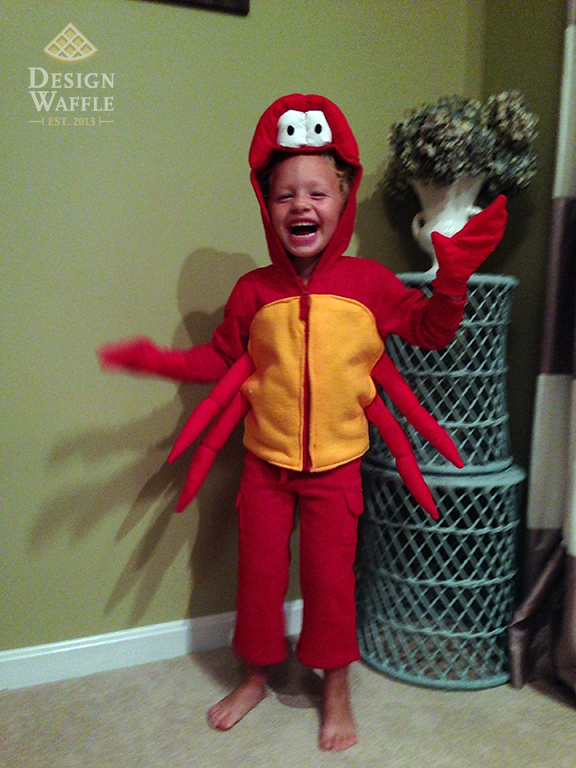 This entry was posted in DIY Projects and tagged Boy, Crab, Design Waffle, DIY, Halloween, Homemade, Kids, Sea, Sebastian Costume, The Little Mermaid. Bookmark the permalink. This is so great I can’t wait to try this! Awesome job! What kind of fabric did you use? ?